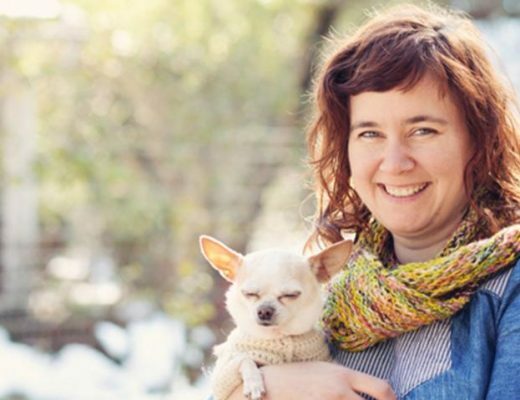 Fiber folk: Today marks the 1yr birthday of the Woolful podcast, and you can only celebrate such things with angels, like today’s guest Tif Fussell or as many of you know her, Dottie Angel. Every single one of the past 42 episodes have been so important to me, however today’s holds special meaning. For any of you who know Tif, you know the treasure she is. 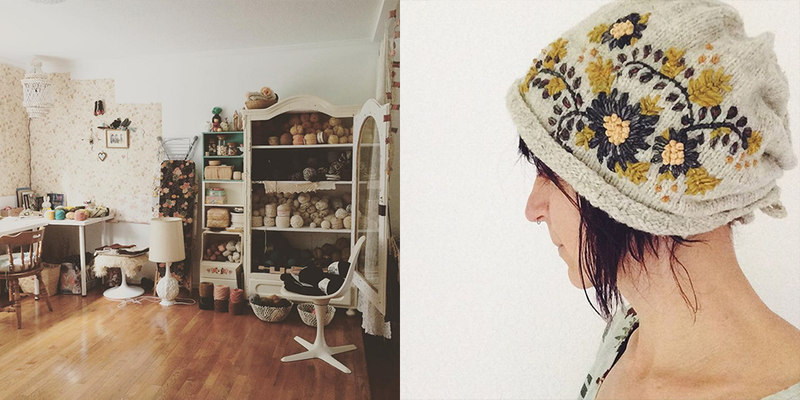 Her story goes beyond fiber or textiles, motherhood or marriage…it’s a story of a woman finding her strength and healing, and her creative journey. You can find Tif in her Pacific Northwest mossy shed and on Instagram @dottieangel. Sponsor: I just want to take a moment to say thank you again to Tolt Yarn and Wool, today’s episode sponsor. I hope you take some time to get to know Tolt better. If you’ve had the privilege of visiting Tolt in person, you know how truly amazing this place is. It’s evident the heart and soul Anna and her incredible team put into creating an experience that feels like home with your fiber family. What a special place to have in this fiber community of ours. 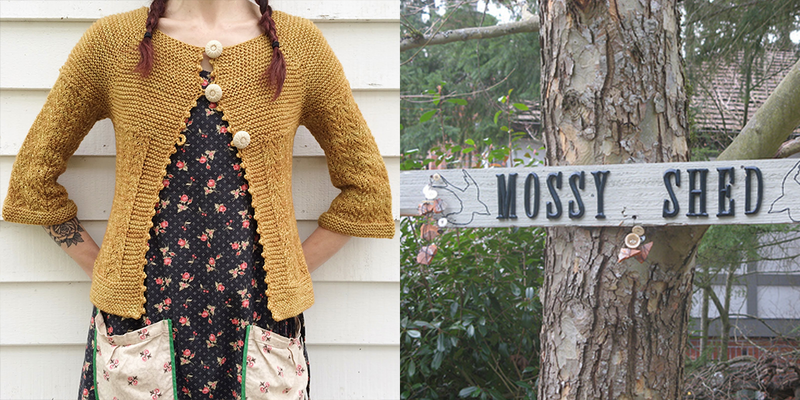 Make sure to visit Tolt in Carnation and online at Toltyarnandwool.com for a very special collection of fibers, notion and books. 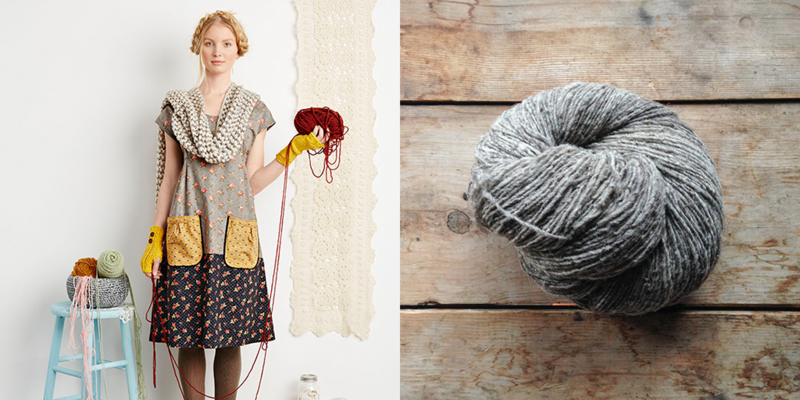 52 Weeks of Wool: I have an exciting new project starting in January, 52 weeks of wool. 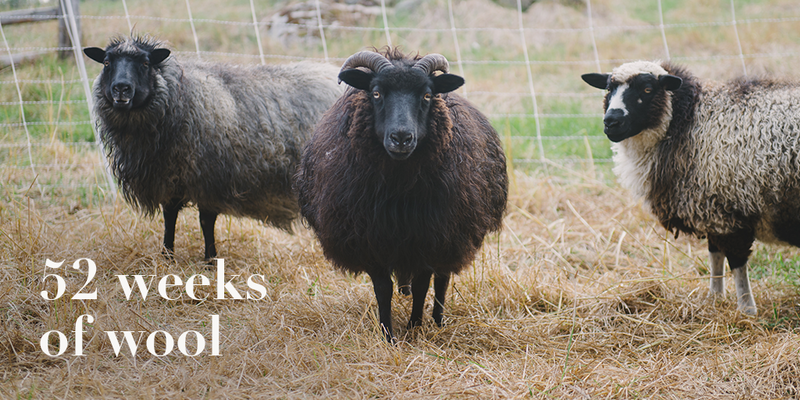 Each week I’ll be hand spinning a new wool breed from a fiber flock from here in the US or abroad, and sharing my experience through photos, on the podcast and in a blog post. My goal for this project is to handle as many different types of wool as possible, and share a bit about each farm and flock that the wool comes from, helping bring light to many sheep breeds and producers. If you have a flock, fiber farm or know someone who does, I hope you’ll consider joining me on this project by sending me a small tuft of fleece to spin. If you’re interested, shoot me an email at hello@woolful.com. 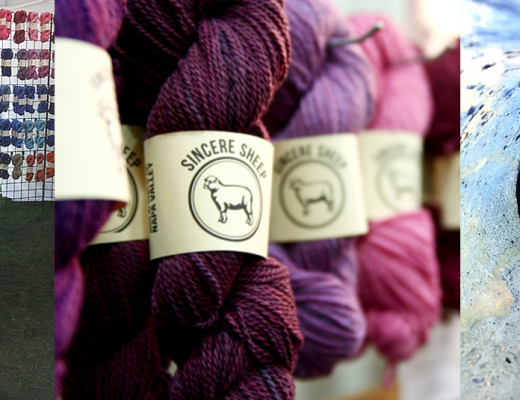 Giveaway: The winner of last week’s giveaways are, Doreen, you’ve won a copy of Tolt Yarn and Wool’s new book Farm to Needle and theslowcatwalk, you’ve won two skeins of Vermont Organic worsted yarn from Green Mountain Spinnery. Congratulations! This week we’ve got a couple of special giveaways. The Dottie Angel Frock pattern from simplicity, two skeins of Moeke Transylvania Merino, and a copy of our recently released Woolful Sheep Breed Calendar. To be one of the winners of this week’s giveaways, leave a comment this blog post. HUGE congratulations on turning 1!!! Your podcast is inspirational! I love learning about new people, sheep, yarns, etc. Keep it up!! Sorry I’ve been such a slack ‘man on the street’ lately, but I treasure you and all you do! Am just about to listen to the podcast but had to say I love the picture of the Hebrideans!! I have some of their fleece which I am going to spin lace weight. THANK YOU!! 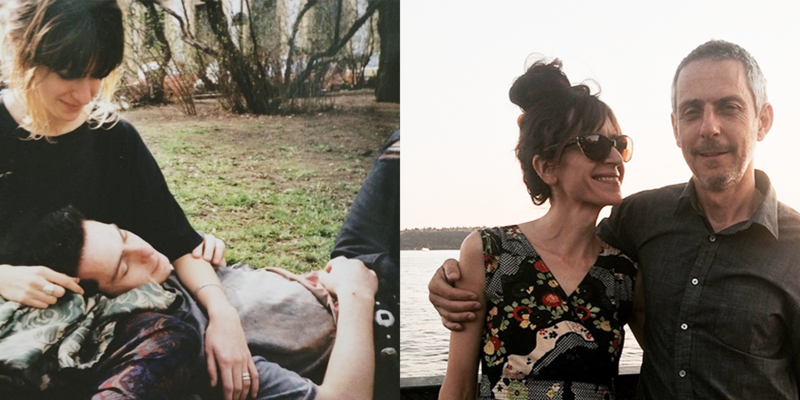 Not only for the the 1 year anniversary but for this most extraordinary pod cast…….what a journey for her and how courageous of her and her husband. I am really looking foreward to your spinning different fleeces. YEA. And my heart goes out to you as well. I started listening to Woolful around the time I bought an 8 lb Romney fleece. The wool has now all been hand sorted and washed, and I have four completed skeins of 3 ply, naturally dyed yarn. Hearing of others motivations and accomplishments has kept me dedicated to this project of my own. I was really excited to see that Tif was the featured guest this week. I was introduced to her practice through Uppercase — Uppercase Magazine is a wonderful publication for the “creative and the curious” as their tagline says. As a fellow Canadian, I was pleased to hear them mentioned in the podcast too. Wow, I can not believe that it’s already been a year for the Woolful podcast! It seems like yesterday that I was excitedly awaiting the first episode. 🙂 I get so much out of the podcast and I look forward to it every week, but you’re own journey is so inspirational to me as well! <3 I really appreciate all the things that you do for this community. p.s. Looking forward to hearing Tif on the podcast – I've been enjoying her Instagram for a while now, and am looking forward to hearing her story. So wonderful as always. This last year has flown….I still remember where I was when I first listened to the podcast. Thanks so much! I found your beautiful podcast through Tif’s Instagram. What a beautiful gift to the whole of our fiber family. Thank you so much. I am so excited to explore the archives AND have a new podcast to listen to each week! Congratulations on your first anniversary. I enjoy Listening to your Podcasts. I have learned so much about wool breeds Knitting and the process from farm to needle .As a one year knitter , I never thought how much there is to know.I believe the process from Taising these beautiful pets ..to my needles.So wonderful. What a powerful episode. I’ve been following Dottie angel for awhile and have been riveted by her story. I feel myself to have experienced life in similar ways as Tif has done and I’m in a similar place in life, as my children leave home. I too have found creativity and making to be the ladder back to the surface after swimming in a well of grief as my children become adults. And with many women, also found resonance as you shared your experience with loss of miscarriage. It’s not spoken of enough, the loss of early pregnancy, and I’m glad you did, even as I know speaking of it must have been painful. I am sorry for it, and I admire you for sharing your experience, it will help other women, and builds connections between us all. Thank you for this podcast. I look forward to it each week. This one was unforgettable. Thanks for making such sweet and heartfelt episodes! I loved this one with Dottie Angel! Tif Fussell is an inspirational polymath artisan. As someone who loves expressing my creativity both artistically and scientifically, concrete and abstract, durable and ephemeral; I found her story to be the most captivating off all your podcasts. And that’s a high bar. This is actually the first of your podcasts that I’ve heard – and I happened to stumble across it because I was Googling Dottie Angel. The stories you and Tiff shared about losing a child, about her embroidering the saying for her aunt’s casket and about her illness were deeply touching. Plus I loved the story about “so when will the new house be ready?” – it was one of those laugh-out-loud moments. Thanks for another amazing episode, Ashley! I’ve made the Dottie Angel smock and am so happy to know more about the creator behind it! Congratulations! 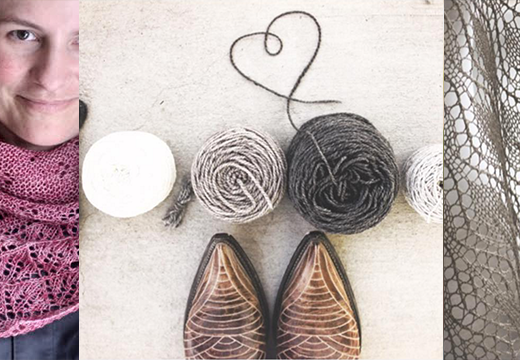 Thank you for doing such tremendous work for knitting together this fiber and wool loving community! I remember listening to your first podcast while combing our icelandic fleeces for my son to spin into yarn. Excited to listen to the podcast while preparing for Thanksgiving this morning! Would love a chance to win one of those wonderful prices. What a perfect way to spend the still quiet hours this morning before my home fills this afternoon with friends for Thanksgiving dinner. I lay in bed after a very restless night and listened to this story. I love the gentle music and the honesty contained within. I would love to sit on the lawn with a cup of tea and trade stories with Tif. Such richness to begin the day. Congratulations on turning 1! I just discovered woolful this past month and have been feverishly listening to the episodes. Keep up the amazing work!! Oh, wow, I love that frock! Yay, Woolful is one, congratulations! Wishing you both well on your *healing* journeys! it s funny how many of the knitters have their first experience story with acrilic yarn and a scarf. i have my story too, in a only girls school and everyone hated to knit, but now i love it and i make my own patterns. Dear Ashley-Happy 1st Anniversary! How time has flown by. I look forward to every Tuesday so I can listen to your podcast on my walk home from work. This week’s podcast was exceptional. You interview such interesting people and do an excellent job helping them share their stories. Looking forward to the year in fiber! Hello! Thank you for another wonderful episode. I have to say that I’ve never come across the work of Tif before today, but I completely smitten with her embroidery! Thank you so much for the introductory look, I popped on over to her Instagram for a more complete look. I send my best wishes to you that your second year of podcasting will be as lovely as this first one has been. As someone who has been fairly recently diagnosed with Crohns Disease and has struggled with anxiety for many years, this episode really resonated with me. Now I love Tif even more. Congratulations on a year! This podcast is still one I look for every week, and the one that sent me down the rabbit hole of crafting podcasts. Happy Anniversary, Woolful! What a wonderful accomplishment, Ashley. Thank you for all the wonderful stories (this week’s included), and for making me, a quiet introvert, feel like a part of a larger, vibrant community. Thank you as well for teaching me something new and inspiring me all the time. Also, thank you, Tif, for sharing your story with us. Your personal journey really resonated with me as a mom and a maker. Good luck to both of you in your upcoming fiber pursuits! Every woman should listen to this podcast with Tif Fussell. So inspiring! 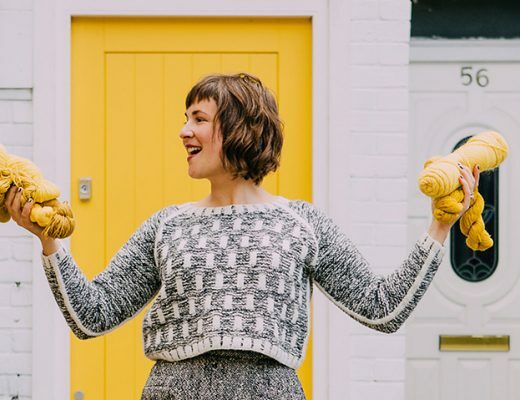 Love meeting more woolful neighbors via this podcast! Another fantastic fiber journey and amazing giveaways. Thank you!! I have a whole year to listen to? Awesome! Happy anniversary! And thank you for sharing your story. Sending love and healing to all of us who have experienced that kind of loss. A year of woolful, and a year of podcasts that touch us fiber folks and bring us to tears on a weekly basis. This week’s interview with Tif was no exception- thanks for creating this fiber-y conduit for all of us to connect through, and looking forward to another year filled with fiber love and tales! Wonderful podcast! Happy 1st birthday with wishes of many more to come. Yayyy, I can’t wait to learn more about Tif! 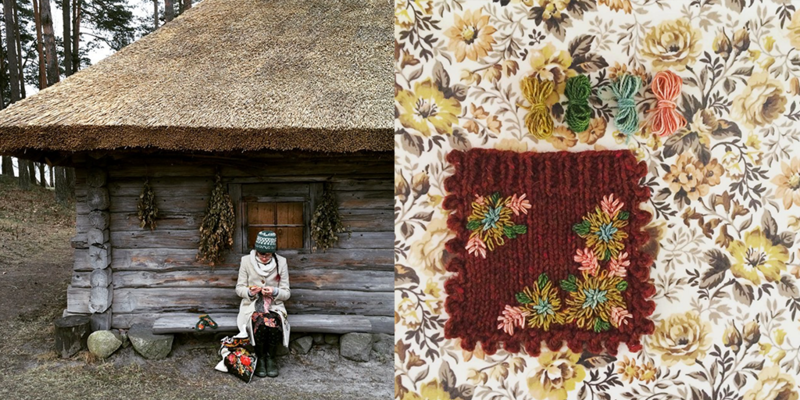 I’ve been loving her wooly embroiery on her instagram for a while now. Thanks again, Ashley, for the gift of your podcast to the fibre community. God bless. 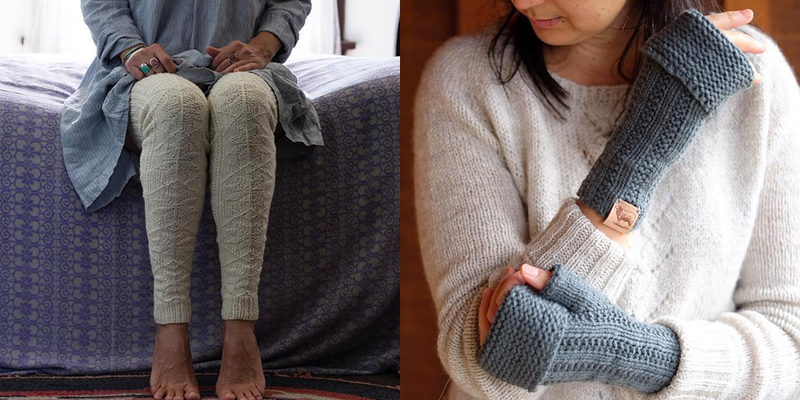 I discovered Tif only about 6 months ago thanks to lovely photos of her finished garments on Pinterest. I got totally hooked straight away. I so admire her style and have just bought her Granny Chic book. I know also how it feels like to be living in a foreign country where new found friends become one’s second family. Ashley, thank you so much for this interview – I thoroughly enjoyed it. I especially appreciate Tif’s honesty when talking about her personal life – as a mother and wife, and also her incredible healing journey. Tif is a real inspiration on many levels. Congratulations on the first anniversary of Woolful! It has really been a year of ups and downs for you. All the best moving forward. Just listened to episode 40 with Pam Allen – so wonderful! Almost caught up… Can’t wait to listen to Tif! Happy 1st birthday! I wanted to let you know how much I have enjoyed listening to all your episodes. I find them very inspirational and it really brings home the human element to craft. I truly appreciated hearing Tif’s story today, as I know the feeling of the little black cloud and I’m glad to hear when people figure out ways to work around and through it. Congratulations on your first anniversary! I look forward to the podcast every week. It is beautiful and inspiring. On a personal note, I had two miscarriages before I had my son–he’s now 22 months old–and hearing you speak so honestly about how that experience affected you brought tears to my eyes. Thank you for sharing your passions and these little snippets of your life as well. I know I can speak for many others when I say that your listeners are grateful. Ashley, I’ve been following you since the beginning and it’s been such an amazing journey. When a new podcast comes up I just giggle inside. One of my favourite Instagram people! I’m looking forward to listen to this episode. Congratulations on your first anniversary! I have cherished this little gem of space that feels as if it is just for me for a whole year? Love. Listening to so many versions of the same story, and yet each one so unique. Perfect timing still surprises me. How I missed Tif Fussell all these years is a mystery. Then just last week older photos kept showing up in random blogs, google, wherever. Then here she is on Woolful. 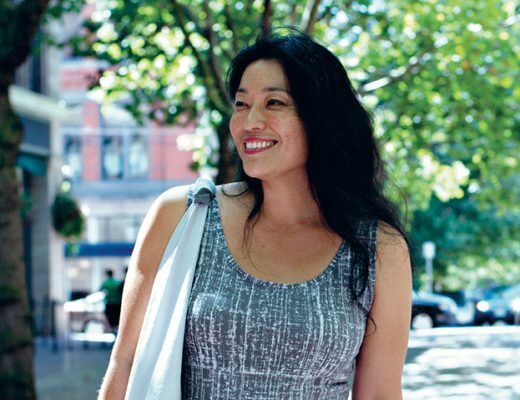 This interview with Tiff is so very special. The whole time I wanted to quickly write down words she was saying so I could save them and remind myself with such fantastic quotes. And yet her words are so familiar because I have already heard many of them in my head and in my heart. Some very big changes in my journey are coming down the road. I have been trying to slowly get ready as thoughtfully and gracefully as possible for the last year. Giving me glimpses of other’s journeys, including your own dear Ashley, in and around art, craft and hearts desires has been so helpful. Thank you, Thank you……..and I would love to know what orange food is. Happy anniversary of Woolful! I enjoyed this podcast. Nice to hear from someone of my generation who is in the empty nest as well — very inspiring to hear what she did to keep going after tough times. Happy Anniversary Woolful!! Ashley, I can’t imagine life without this podcast!! Thanks for a great year of episodes! I am in LOVE with Dottie Angel’s woolly tattoos. Really great inspirational Podcast this week! I am new to your site, and after listening to this episode, immediately went to Episode 1. I can’t wait to listen to each and every Podcast, both in the past, and new episodes to come. This is my way to get quiet time that I love. Thank you for all the podcasts and wonderful people you’ve interviewed. I look forward to many more. Thanks for these episodes! I love your podcast. Tifs blog was one of the first blogs I’ve ever read and I have bee a huge fan of her work, although it was too peachy to me at first. I loved to listen to her on woolfolk, thank you so much! Fascinating to hear from Tif. 52 Weeks of Wool sounds like it will be fascinating! Congratulations on turning one. I think your podcast is a game changer, I look forward to every episode. Thank you. 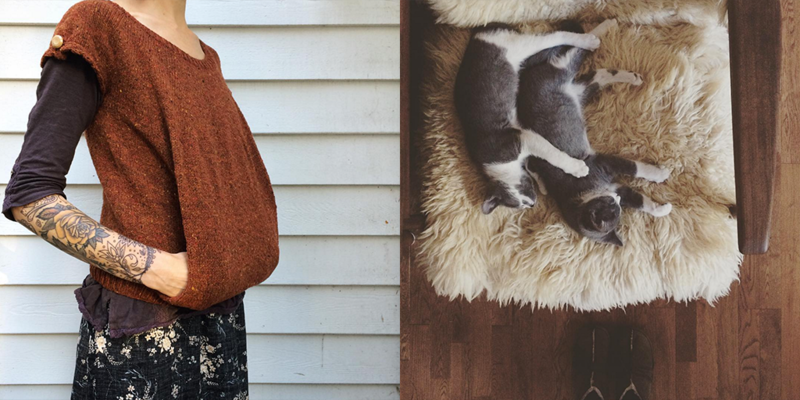 Always interesting to hear about the realities behind the online craft world, which can seem at first glance so cozy and idyllic. I think it enriches the story, and lets us recognize ourselves in others. Thanks! That embroidered hat!! Another lovely podcast. Thanks! One of my favorite episodes to date!!! Wonderful stories and sharing, thank you, thank you, Ashley and tiff!! Congratulations to Woolful for a passion & brilliantly filled year of sharing. We’re all so much better for it, thank you so much! I love all that you do! Congratulations on your one year anniversary. Happy anniversary ! Is always a pleasure to hear inspiring stories. I loved this one. 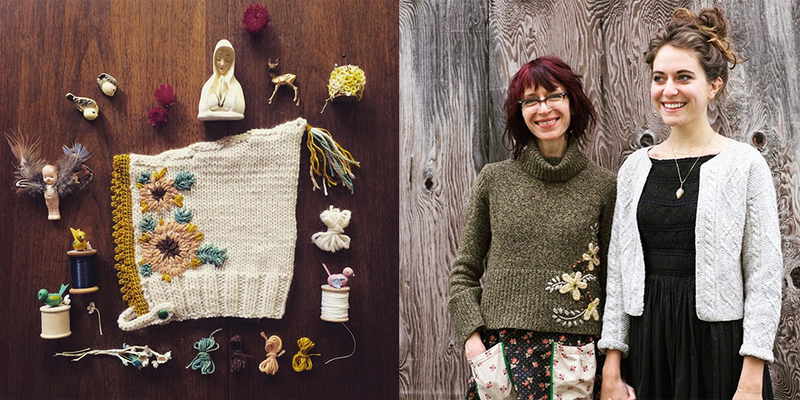 I think her journey has so many similarities with ours, as knitters or just people that love to make things. Thank you for this great interview. This feeling of “i’m not good enough” is not related to a certificate or a degree, is just the result of not fitting in in a world that does not recognize true value of people. Thank you for another great episode! And congratulations! Thank you for sharing your story, Tif. Incredibly inspiring. And happy birthday Woolful! I recently discovered Tif on Instagram. This was a beautiful episode. I’m so thankful to have found this podcast and community. Congratulations on the anniversary! I am so excited to be exploring this fiber community. This is the second podcast I have listened to and Dottie’s interview was lovely. I will be checking out her work and hopefully, getting to my own soon! If anyone has suggestions for connecting with fiber folk in the San Francisco Bay Area, please give me a shout! Thanks for the interview! I so admire Dottieangel’s Instagram! Congratulations on your first year of unique, fascinating and entertaining podcasts, Ashley. The breadth of topics covered is amazing, and always inspiring. This particular episode was very interesting, indeed. Thanks. Congratulations on a year! I love the podcast and learn so much. Also, my stash has grown thanks to the people you have interviewed. Such a delightful interview…Tif’s story was both touching and inspiring. Happy Anniversary Ashley…the podcast never fails to connect with some inner part of my creative self…thank you from the bottom of my heart. Congrats on 1 year of grand success. Love the podcast and all that you do! So inspirational. Congrats on turning one, thank you for this beautiful intellectual haven for fiber folk and I look forward to seeing your journey of 52 weeks of wool. This podcast has meant so much to me! The combination of hearing fiber folks journeys along with so much information is the best combination I could ask for! Congrats on one year and I CANNOT WAIT for the 52 weeks of Wool! I loved this episode, thank you so much! Happy birthday, woolful! This was one of my favorite episodes! I have only recently started following Tif and was completely blown away and inspired by her pieces and it was so great to learn a little more here. Thanks so much for putting in all this amazing work in for the past year. I think woolful is a really important project, I have learned so much since I started listening this summer as I’m sure so many others have as well. Another great podcast- and another wonderful giveaway! I love love love listening to your podcast! 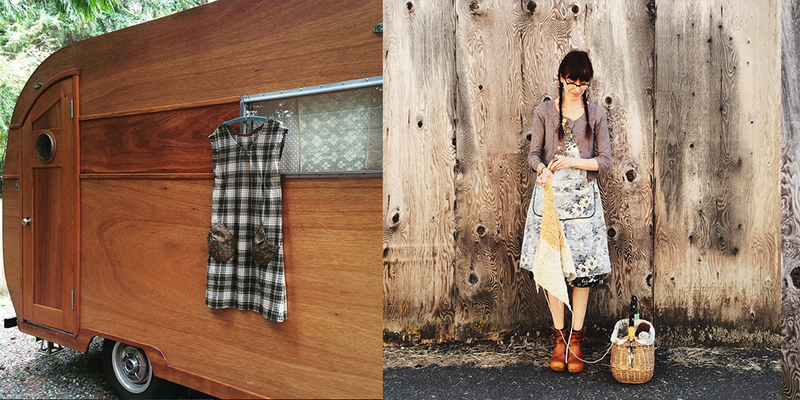 I am hoping I win this week’s giveaway because I would love to make Dottie’s frock!!! Congratulations on turning 1!! I’m so happy I found your podcast. Really enjoyed the podcast this week. Wonderful! What a fascinating journey Tif has been on. You never know what’s going on in someone’s life in the background. Thanks for bringing her lessons to us. Happy First Birthday Woolful! Looking forward to the next year! This was such an inspiring episode. 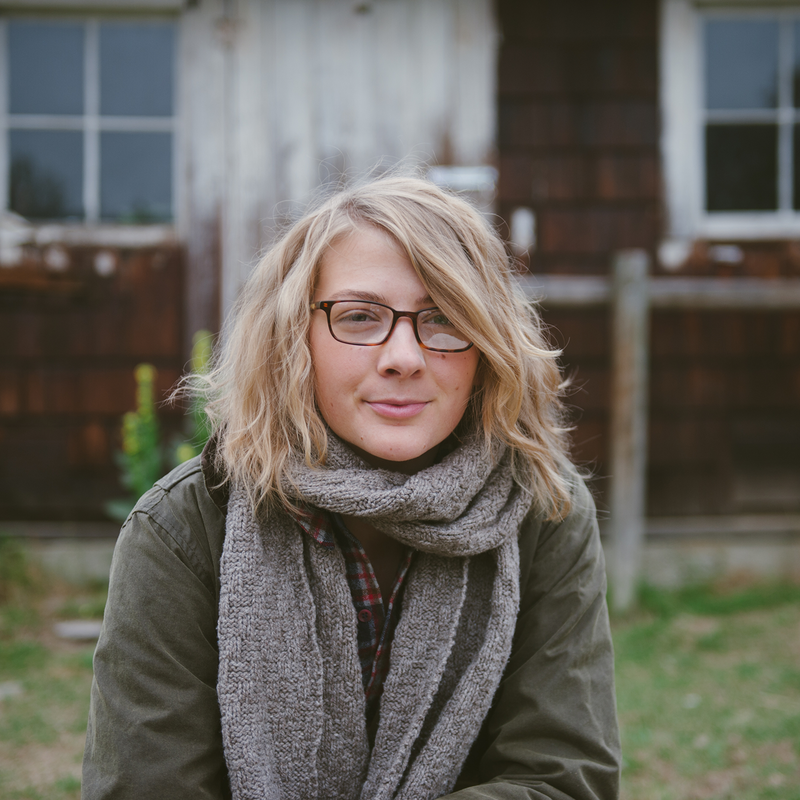 I loved hearing about Tif’s journey, especially her take on why not having an art degree has made her more creative as I struggle with some of the same doubts. beautiful as always. as a mother to two under four, I identify with her descriptions of early motherhood! Just now able to listen to this episode. I could listened to Tif all day! I found myself wanting to sit down and have a cup of tea with her! Delightful episode. More importantly though, a hardy congratulations on your 1 year milestone! You are one productive gal, Ashley! I can’t wait to see what you have in store for us in the coming year. I think this was my favorite episode yet. Thank you for such a great podcast. I look forward to many more. Yay, congrats on your first year! I look forward to your podcast each week. It is full of inspiration and amazing stories. Thank you for all you do Ashley!! I admire you and Tif for sharing both the joys and the trials of your journeys. It lets us understand that there are real people behind the beautiful things you make, and this makes those things even more beautiful I think. Thank you for your honesty in this podcast. I think we’d all like to hear more about your personal fiber journey, Ashley. : ) Happy Birthday, Woolful! I love this podcast so much. I have learned so many things and hearing about it in the context of a creative journey is so satisfying and relatable. Thanks for another awesome episode! I’m so looking forward to seeing the results of the 52 weeks project! I love this podcast. Oh, and did I mention that I am Romanian, so I HAVE to try the Romanian yarn? Happy 1 year anniversary! I enjoy your shows and look forward to many more. Love your podcast. Happy Anniversary! I can’t tell you how much I enjoy the podcast in general, and this week’s in particular. As a woman of a certain age, I can really relate to the phases of creativity that Tif described. I am finally blooming after a move to a new setting, and really resonated with the descriptions of mood. Thanks for all the hard work that I know goes into the podcast. And just so you know, I love the sound of the wheel at the start and end of the broadcast! Such a lovely site, I just stumbled across for the first time! I discovered woolful.com only today – but well, better late than never. I really loved this last podcast, it was inspiring. I also listened to 2 older podcasts (while finishing the birthday present of my daughter). I loved them. I will listen to all the podcasts soon. Thank you for the podcast. Listening to them is a treat for me. What a wonderful podcast, and lovely giveaway! I must get to visit Tolt! Happy Anniversary! The year has flown by. I am so thankful for this podcast. The stories are always so genuine and inspirational. 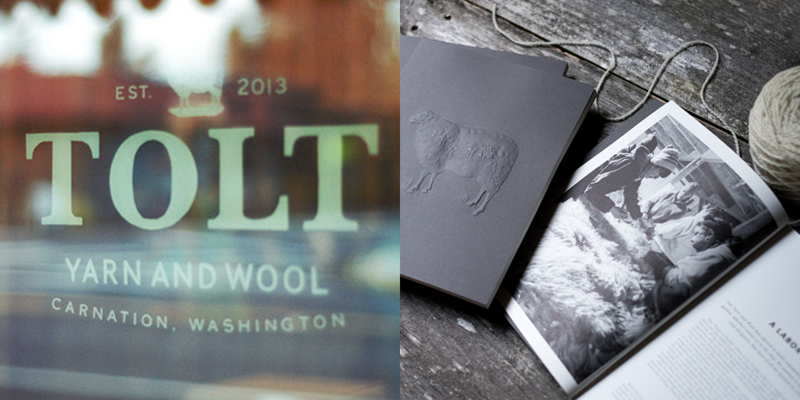 Can’t wait to follow your journey through the 52 weeks of wool. I recently learned to spin and am loving every minute of it. Just wishing there was more time! Thanks again Ashley for the beautiful podcasts you produce. This episode spoke to me especially. I just want to thank you for everything, Ashley, I have learned so much for life. I am trying desperately to listen to your podcasts with our horrible internet connection here in the rainforest of Brasil! And with Dottie Angel as the spotlight, I´m trying even more than usual — connecting at odd hours and hoping for a bit of luck. I sure hope to find a solution soon to be able to follow such inspiration coming from so many places and so many people! Congratulations on one year of remarkable work!It’s a real treat to hear stories from all kinds of wonderful people week after week, so thank you from the bottom of my heart. I love woolful. I am so looking forward to reading Farm to Needle, especially as I start to look for local yarns the way locavores look for local food. Is there a term for a knitter who only knits with local yarns? I’d be interested in becoming one of those. Congrats on turning 1! I loved hearing Dottie’s inspirational story, then looking her up and seeing her beautiful work. Just writing to say that I’d seen your Instagram post where you mentioned one of your losses, but was shocked and saddened to hear that you and your family have endured two such sadnesses this year. I’m praying the next year will be full of healing and fulfilled hope for you guys. And keep up with all these wonderful things your doing. I can’t imagine where you’ll be a year from now, but I’m sure it will be full of interests and inspirations and learning! I love the “wool tattoo” concept, as soon as I heard it I had to get online and look at pictures. I am inspired to try embroidering on my knitting. Thank you for your wonderful podcast! Wow, 1 year old, wonderful work! Thank you for sharing again and again. Thank you for another beautiful episode, and congratulations on your first anniversary. Looking forward to many more! I can’t recall if I found you or Tolt online first. 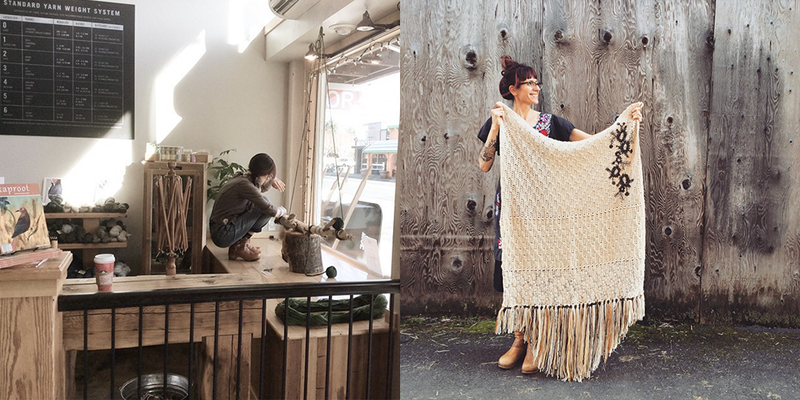 I’m thinking it may have been instagram where I found you both when just looking up pics of knitting. And then I think I just saw you commenting in one of their posts. So glad I found your site. Well, I’m literally hooked on your podcasts! They are a joy and inspiration to listen to! Keep up the great work and Happy Anniversary! Thank you Ashley for this beautiful interview, one of the most inspiring and soulful I’ve ever heard. Kindred souls on the maker’s journey recognize Tif’s circuitous route back to her center. As a long-time follower going back to Tif’s Flickr days, it was a joy to hear her voice and the eloquent story of her journey. Priceless, this a favorite to be saved for a dose of inspiration when the muse is elusive. Blessings to you both for following your heart…I shall do the same! Happy Birthday! Looking forward to going back and listening to all the episodes from the beginning. I’m a bit behind in my Woolful podcasts (mostly because I find myself wanting to listen to them when I have the space to REALLY listen-) – This comment will probably get lost amongst all the others, but I’m called to share just how much this particular podcast touched me… I have enjoyed ALL of your podcasts to date, but never before have I felt the degree of honesty that came through in this one. – Many times when personal things are shared over the air, they become almost cliché -or generalities are used when communicating so that perhaps our emotions are kept in check in front of others — While listening to this podcast I found myself pulled from my drum carder and sitting down, touched by the humanity and realness of what was shared. Thank you for creating a space where that happened – it makes me cherish that we still take the time to tune in to the very real adventures and challenges in our lives and acknowledge them, and that sharing makes us *all* more human, and maybe better listeners and better friends. Wow, this podcast was fantastic Ashley, really loved hearing about Tif’s creative and personal journey and the dottie angel. It was so great to hear someone speak so candidly about their issues with depression and great to hear how her creativity lead her out of ‘ the darkness’. What a great story and wonderful woman! What an amazing interview you shared with us. Thank you!